Prior to the First World War, more people learned of evolutionary theory from the voluminous writings of Charles Darwin's foremost champion in Germany, Ernst Haeckel (1834-1919), than from any other source, including the writings of Darwin himself. But, with detractors ranging from paleontologist Stephen Jay Gould to modern-day creationists and advocates of intelligent design, Haeckel is better known as a divisive figure than as a pioneering biologist. 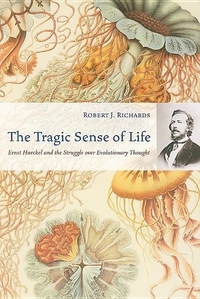 Robert J. Richards's intellectual biography rehabilitates Haeckel, providing the most accurate measure of his science and art yet written, as well as a moving account of Haeckel's eventful life.